All of these have been specifically designed to help you relax and bring more ease, peace and love into your being and we kindly ask that you refer to the below information to find out which sounds feel right for you. 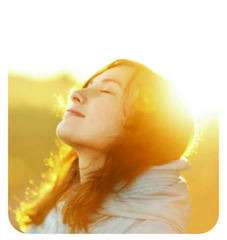 We are delighted to offer you this Reiki healing music here with love & light. It is our intention here to provide you with a very relaxing, peaceful and soothing set of healing sounds so that your Reiki sessions can run as smoothly and as gently as possible. During this music, we have included a very simple chime at 3 minute intervals to help you keep track of your timing for each hand position. May you enjoy using this Reiki music for giving hands on healing sessions to yourself and others! The below healing mantra music can be a very powerful way of healing, purifying and expanding forwards on your journey into the light. With much love, we hope that you will enjoy these peaceful & deeply sacred sounds of the healing mantras and may you enjoy feeling the love, light and peace washing over you with this music. Please feel free also to sing along with these mantras as you open yourself up to receiving much healing, love and purification for your journey forwards. By singing along with this beautiful mantra and by opening up to the energies that are flowing into us, we are able to bring more peace, love and light into our life. This music can be listened to as many times as you wish, either in the background or as you sit quietly to more effectively absorb the beautiful love energies. By opening up to the frequencies of this beautiful healing mantra, we are opening ourselves up to love, peace and wisdom. Please enjoy this lovely healing music and feel free to sing along with the music as you go about your day or as you sit quietly for some 'you' time. Solfeggio frequencies can offer you a series of harmonic / healing frequencies that date back many thousands of years. These energetic frequencies are said to be very beneficial for internal healing & spiritual growth and we have therefore decided to offer a series of Solfeggio Healing audio files here with much love. Simply listen to these (either with or without headphones) to help bring these frequencies into your energy system and to help with any healing issues that may be arising from within. We often like to listen to these frequencies on a lower volume setting and we find that they are very beneficial in times of physical or emotional imbalance or for spiritual re-alignment. simply right click on the above links. These tracks have been designed specifically to help your mind relax & unwind as your mind is softly and gently guided into an alpha, theta or delta wave frequency. This means that you can now experience even the deepest states of meditation just by listening to the sounds and frequencies that are embedded into these audio tracks. ﻿This ﻿is the beauty and power of brainwave entrainment and binaural beats and we are delighted that we can offer you our very own relaxing and deeply therapeutic brainwave entrainment audios. By listening to these audio tracks, you are allowing your brainwaves to be guided to these more relaxed and deeper states of being. 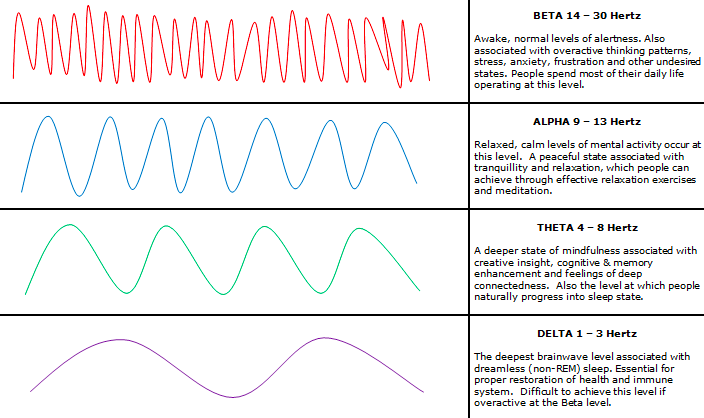 And there is much research to now show us that even the deepest and most experienced meditators reach a brainwave state of theta! We are very excited to offer you these free healing gifts and meditation aids so that you may also enjoy these very peaceful and deep states of brainwave. And we would definitely suggest that you listen to any one or all of these as much as you wish. There is no need to listen to these in any order, just choose something which feels right for you and start listening! These audios have been beautifully designed to use subliminal messaging (in conjunction with binaural beats) so that you can receive many types of happy, positive and loving thoughts just by listening. Each audio track plays for 30 minutes and contains 5 uplifting affirmations which are being repeated over and over again within the music, the sounds & other background noise. As you listen along to this (even if it is just playing in the background) you are opening yourself up to receiving lots of wonderfully happy, positive and loving thoughts and the best part is, your sub-conscious mind is actually better able to absorb these affirmations because you are bypassing your otherwise doubtful, fearful and other conscious mind barriers. "I find happiness in every moment"
"I am a happy person in every way"
"I love and approve of myself"
"I enjoy sharing my happiness with others"
"I am feeling happier and happier every day"
"I open up to love"
"I open up to receiving love in my life"
"I enjoy sharing my love with others"
"I enjoy seeing love & happiness all around me"
"I open up to receiving light in every moment"
"I am an open channel for light to flow through"
"I am a light being"
"I am open to receiving light"
"I enjoy radiating my light for others to benefit from"
"I am a positive and uplifting person"
"I like being a highly motivated person"
"I am happy and motivated today"
"I can achieve anything I want in my life"
"I feel motivated to walk on my own unique journey"
"I overcome obstacles and challenges with ease"
"I let go with love"
"I release all my past hurts"
"I release anything that I no longer require"
"I release the old as I walk forwards in life"
"I forgive myself with love"
"I let go of all worry"
"I enjoy sleeping very much"
"I enjoy feeling the peace and relaxation of going to sleep"